Geneva, 27 April 2017. 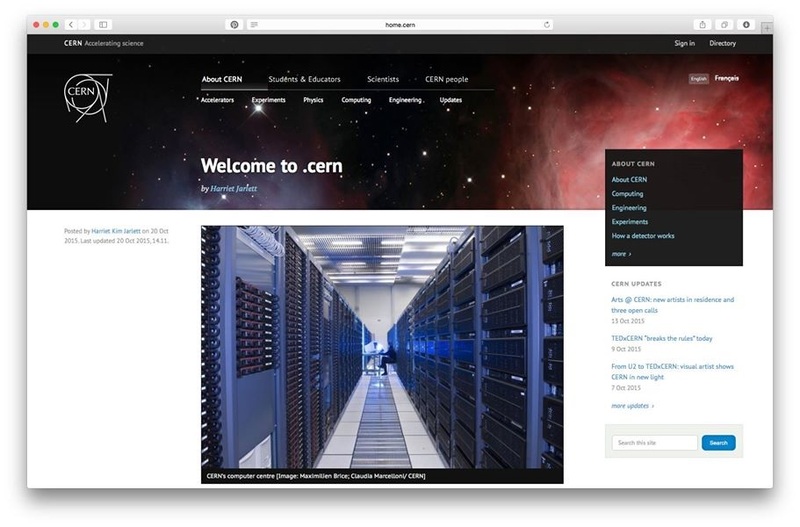 The European Organization for Nuclear Research (CERN) and the American Physical Society (APS) signed an agreement today for SCOAP3 – the Sponsoring Consortium for Open Access Publishing in Particle Physics. 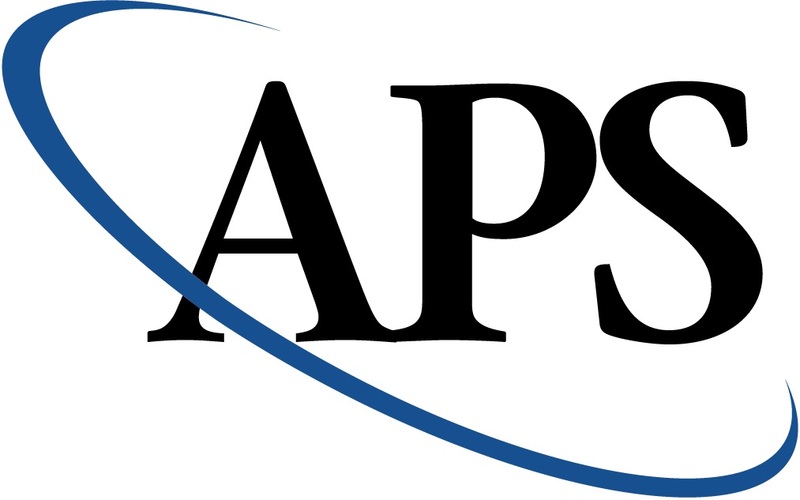 Under this agreement, high-energy physics articles published in three leading journals of the APS will be open access as from January 2018. Members of the Laser Interferometer Gravitational-Wave Observatory (LIGO) Scientific Collaboration took a victory lap of sorts at the APS April Meeting 2016 in Salt Lake City, Utah. Talk after talk began with slides showing the now-famous signal from GW150914, the formal name for the September 14, 2015 detection of gravitational waves from two black holes that merged 1.3 billion years ago. “For the first time when I present this talk, I can start with a discovery, not just upper limits,” said Alessandra Corsi, an astrophysicist at Texas Tech University. But speakers quickly pivoted to new astrophysics emerging from GW150914 and LVT151012, a second candidate event that appeared in LIGO data but did not reach the critical “5-sigma” statistical threshold needed to claim a true detection. Researchers also shared new ideas for peering deeper into the universe and increasing the frequency spectrum that gravitational-wave detectors can probe. For astrophysics, GW150914 heralded a series of firsts — not just the first detection of a gravitational wave, but also the the first proof that black holes form merging pairs (only inspiraling neutron stars had been previously seen), and the first evidence of black holes more than 25 times the mass of the sun. The large sizes of the merging black holes also revealed that their source stars were low in heavy elements, and that their spins were substantially lower than the maximum possible value allowed under general relativity. And more detections may soon constrain the rate further. LIGO’s first observing run lasted from September, 2015 to mid-January, 2016 (project leaders decided after the September 14 find to extend the original end date by about a month), but so far the collaboration has published results only from data taken through early October. Collaboration members were tightlipped about whether additional detections popped up in the more recently acquired data, promising an update within a month or two. Those new results could also help resolve another mystery. Using the time delay between when the gravitational wave arrived at the twin Hanford, Washington and Livingston, Louisiana detectors, LIGO scientists narrowed the location of the black hole pair to a banana-shaped region that represents around 1.5% of the sky, equivalent to the angular size of around 2,500 full moons. Scientists with NASA’s Fermi Gamma-ray Space Telescope then found in their data a candidate event from a region of sky that overlaps part of LIGO’s region, occurring only 0.4 seconds after the LIGO signal began. Though the gamma-ray signal has a 2 in 1,000 chance of being spurious — making it far less than a 5-sigma event — Fermi scientists published it in February on the arXiv. The possible coincidence of a gamma ray signal with GW150914 is intriguing, because leading theories do not predict that black hole mergers would produce electromagnetic radiation. Within days of the Fermi team’s announcement, theorists had posted a pile of papers on the arXiv proposing explanations for the gamma rays. But scientists are remaining cautious, because of the imprecise sky localizations of the two events, and because data from the European Space Agency’s (ESA’s) Integral satellite, which also looks for gamma rays, showed no hints of a detection. Even before they finish analyzing their latest round of data, gravitational-wave scientists are looking toward the future. LIGO is in the midst of a long-planned series of upgrades known collectively as Advanced LIGO; improvements include increasing the laser power in the detector arms, “squeezing” the laser light to reduce quantum uncertainty, and developing new mirror coatings to reduce thermal noise. The detectors will eventually capture gravitational waves from more than 25 times as much space as they did in the first observing run, which was already a more than 25-fold increase over their original sensitivity. By 2018, collaboration members expect dozens of detections per year. And more detectors will soon join the network. The Virgo facility in Cascina, Italy is slated to come online late this year, though problems with the glass fibers that hold the detector’s mirrors have caused delays. An underground, cryogenically cooled detector in Japan called KAGRA will become the world’s most sensitive starting around 2018. And on March 31, officials from the U.S. National Science Foundation and India’s Department of Atomic Energy and Department of Science and Technology signed a memorandum of understanding to build a LIGO clone in India. The synchronous operation of detectors around the world will greatly improve how precisely scientists can resolve the origins of gravitational waves. Syracuse University’s Stefan Ballmer noted that new facilities could deliver more bang for the buck by including two detectors with different orientations at one site, which would help scientists resolve gravitational waves’ polarizations — something LIGO alone was not able to do for GW150914. Amid the celebrations, astrophysicist Neil Cornish of Montana State University reminded his colleagues that there are some things LIGO and its earthbound partners will never do. Specifically, ground-based detectors cannot sense gravitational waves of frequencies below a few hertz, because they become swamped by seismic disturbances and the gravitational influence of objects moving on Earth. To escape this noisy environment, scientists have for 20 years developed plans for the Laser Interferometer Space Antenna (LISA), which would orbit the sun behind Earth, and send laser beams among three spacecrafts at a distance of a million kilometers or more from each other. The ESA-led project has had more than its share of hiccups, however, with NASA initially committing and then in 2011 withdrawing as a partner. Currently a modified experiment called “evolved LISA,” or eLISA, is slated to fly in the mid-2030s, though Cornish thinks the LIGO detection could inspire NASA to get back in the game — or push China, which has expressed interest in a mission, to partner with ESA or launch its own satellites. Either could shorten the wait for a functioning space-based observatory. ESA’s LISA Pathfinder mission, which launched late last year and has already demonstrated that mirrors inside the spacecraft can be kept stable enough, could also provide a rationale for moving faster, says Cornish. Scientists are also pursuing a third gravitational wave search method that utilizes radio telescopes to search for small changes in the timing of rapidly rotating “millisecond pulsars” in our galaxy. Such changes are predicted to be produced by very low-frequency gravitational waves emitted from supermassive black hole pairs that result from mergers of distant galaxies. Project leaders predict a detection by early next decade. 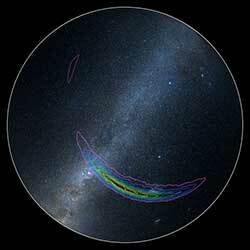 [A possible mission for the Event Horizon Telescope? Strands of DNA can be used to generate waves of chemical reactions with programmable shape and velocity. Figure 1 Schematic view of the system studied by Zadorin et al. A single-stranded DNA (A) binds to one of the two complementary ends of the DNA template T. The resulting A:T complex uses the polymerase enzyme (pol) to generate another molecule of A on the template. A second enzyme (nick) facilitates the splitting of the two A molecules and their detachment from T. The net result is an “autocatalytic” reaction in which A catalyzes its own production: A+T+monomers→2A+T. By varying the concentration of DNA strands and enzymes, the authors were able to generate waves of chemical reactions with controllable shape and velocity. Research in chemistry can be roughly divided into two categories: analysis—the measurement of existing objects and phenomena—and synthesis—the construction of those objects and phenomena from simpler pieces. Typically, synthesis lags behind analysis: one first determines the formula of a molecule (and often its structure) before attempting to make it. However, as chemistry advances, investigators are increasingly attempting to synthesize first, designing chemical systems that realize desired phenomena. A team led by André Estevez-Torres at CNRS in France and co-workers has demonstrated an experimental toolkit that could be used for the rational engineering of nonlinear chemical effects in solution. Using DNA strands moving in a narrow channel and reacting under the action of enzymes, the authors are able to create chemical waves whose shapes and velocity can be finely controlled. Their setup could be programmed to yield a broad spectrum of other nonlinear phenomena in systems governed by a combination of chemical reactivity and molecular diffusion (“reaction-diffusion” systems). Nonlinear chemical dynamics characterizes many natural and industrial processes and is a quintessential feature of living organisms: most of their chemistry occurs far from equilibrium, has a nonlinear dependence on parameters like molecular concentrations, and may exhibit temporal oscillations (many biological functions are, for instance, synchronized to a 24-hour cycle). Researchers have applied a number of algorithms to design systems featuring such nonlinear behavior, engineering chemical oscillators (reactions in which the concentration of one or more components exhibits periodic changes), propagating reaction fronts or “Turing patterns” —spatial patterns of concentrations that, as Alan Turing proposed, might be related to biological morphogenesis (e.g., the formation of leopard spots or zebra stripes). But design algorithms are severely limited by the realities imposed by nature. One may write down a set of equations that generates a desired phenomenon, e.g., spatiotemporal chaos, for a set of reaction rates and diffusion coefficients. There is, however, no guarantee that an actual collection of molecules can be found that realizes the theorized behavior. For example, over the past several decades, researchers have successfully engineered, through systematic studies, new chemical oscillators with desired parameters for a variety of applications. These efforts have resulted in the discovery of several oscillators, but none of these oscillators “by design” has attained the importance of the Belousov-Zhabotinsky (BZ) reactions, a family of oscillating reactions (discovered serendipitously) that remains the most versatile and reliable chemical oscillator for most applications. Most efforts to design reaction-diffusion phenomena have utilized small inorganic molecules, largely because these substances are cheap, easy to work with, and produce visible color changes when they undergo reduction and oxidation (redox) reactions. Unfortunately, these reaction mixtures are typically not biocompatible, and they cannot be used in applications that place them in contact with components of living systems like proteins. The BZ reaction, for example, only works at acidity levels lethal to most biological cells. A solution may be offered by oligonucleotides (short single strands of DNA or RNA), which have been utilized as versatile building blocks for oscillators, computational elements, and structures with arbitrary shapes. In their new work, Estevez-Torres et al. have focused on dynamical aspects: They demonstrated that DNA strands can be used to realize an experimental model for reaction-diffusion systems whose spatiotemporal dynamics is fully controllable by programming three key elements of the system: the reaction rates, the diffusion coefficients, and the topology of the chemical reaction network (i.e., which reactions are linked to each other in ways that generate positive or negative feedback). It is known that autocatalytic reactions can generate chemical waves that travel with a characteristic velocity (ν) depending on the effective rate constant (k) for the reaction and the diffusion coefficient (D) of the autocatalyst (A in this case): ν=(kD)1/2. This idea has been exploited to generate a family of propagating acidity fronts in inorganic reactions, where the hydrogen ion (H+) was the autocatalyst. It was not possible, however, to control the velocity of those fronts, because the reaction rate depends on diffusion and the diffusion coefficient of H+ in water is fixed. Here, the authors are instead able to tune the effective rate constant k by varying the concentration of either the template or the enzyme. They can also control D, the effective diffusion rate of A (which depends on the diffusion rate of A relative to the A:T complex). By binding a heavy but chemically inert group C to T, they can reduce its diffusion rate and that of the complex without affecting its affinity to A. In other words, by choosing the concentrations of T, C, and pol, they can act on the two independent “control knobs” of the diffusion coefficient and the reaction rate constant. In this way, they can generate reaction waves with velocities that vary by as much as 3 orders of magnitude. What is exciting about this approach is that it is not limited to the generation of chemical waves. The scheme could be extended to generate any desired reaction-diffusion phenomenon for which one can write a set of elementary reactions. Turing patterns, for example, could be produced, as suggested by a previous study, by picking a slightly different reaction network, including an activator (like A in this case) but also an inhibitor that diffuses 1 order of magnitude faster than A. The “toolbox” employed by Estevez-Torres’ team, in which the activator species (A) can be slowed down by the massive inert group (C), already contains all elements needed to achieve the necessary range for diffusion coefficients. Approaches like the one explored by the authors, building on eons of evolution in the ability to control nucleic acids, suggest a bright future for this research line. The fact that DNA-based reactions are inherently biocompatible makes them attractive for potential applications, in particular if the system can be coupled to mechanical forces, as has been done for the BZ reaction. For example, one could envision inserting an anticancer drug into a DNA shell designed to undergo a mechanical deformation and release the drug when it encounters a molecule with a characteristic shape on the tumor surface. For those who are interested, the original article has a complete list of references and a numeric key for those references. An improved cold atom gyroscope could lead to portable, ultraprecise devices for navigation and tests of fundamental physics. An improved design for a rotation-measuring device based on cold atom clouds has twice the sensitivity of similar instruments and could, with further refinements, be among the best in the world, say its creators. The device is an atom interferometer, an instrument that makes use of the wave nature of atoms, and a team used it to measure the Earth’s rotation with an accuracy of about 1%. They say that because atom interferometers can be made small and portable, future versions could be used in extremely sensitive and stable gyroscopes for navigation onboard airplanes and ships. They could also make precise measurements of gravity and test the fundamentals of relativity theory. 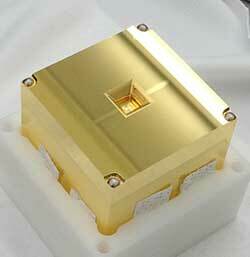 Researchers have used atom interferometers for precision measurements of gravity and rotation. Improvements in the technology could be useful for measuring continental drift rates and seismic shifts as well as providing an external check and backup to navigational technology such as GPS. The most accurate measurements of the Earth’s rotation come from large machines, but cold atom interferometers promise highly precise yet portable devices. The classical interferometer uses light waves. For example, in a Mach-Zehnder interferometer, a half-silvered mirror (“beam splitter”) splits a pulse of light in two and sends the beams in different directions. The pulses then hit other mirrors that direct them back toward one another, and they recombine at a second beam splitter, where the output light is detected. The two beams trace out a diamond shape, with each pulse following two sides. If one of the beams traveled slightly farther than the other, the waves in the two beams will be slightly out of phase when they meet, and they will partially cancel. The sensitivity of an interferometer depends on the wavelength, so researchers dramatically improve precision by using atoms, whose quantum nature produces much shorter wavelengths. In one version of an atom interferometer, a cloud of cold atoms is launched horizontally and is hit with a series of three laser pulses as it traverses the region being probed. The laser pulses play the roles of the mirrors and the two beam splitters of an optical interferometer. The first pulse puts the atoms into a quantum combination of two conditions—(1) deflecting to the left in the ground state and (2) deflecting to the right in an excited state. The second pulse deflects the two clouds back toward each other and swaps their quantum states, and the third combines the clouds in preparation for measurement of the number of atoms in the excited state. In an atom interferometer, the wave is an oscillating probability for atoms to be in this excited state, rather than an oscillating electric field, as in an optical interferometer. Because the Earth rotates, one of the clouds will travel slightly farther than the other, which will cause a partial cancellation of the probability waves and will affect the number of atoms measured at the end. One major source of error for previous atom interferometers was that the two clouds travel a relatively long distance while in different quantum states (ground and excited states). Outside forces, particularly magnetic fields, can affect the two clouds differently, introducing uncertainty (noise) into the measurement. A team led by Ernst Rasel of the Leibniz University of Hannover, Germany, was able to reduce this noise by arranging for both clouds to be in the ground state for most of the experiment, so that the two clouds were affected by outside forces in the same way. The team used multiple laser pulses at each of the three interaction points and generated only brief transitions between the two states. Based on their measurement of the Earth’s rotation rate to an accuracy of 1%, the team says their technique is twice as sensitive as state-of-the-art, cold-atom gyroscopes. They believe they can increase their sensitivity by at least ten times, equaling the best gyroscopes currently operating, but using an area of just 40mm2, compared with the 16m2 needed for the most sensitive gyroscopes. Hannover team member Peter Berg says the same technique could also improve experiments where a vertically oriented interferometer tests the equivalence of gravitational and inertial forces, a central principle of relativity. 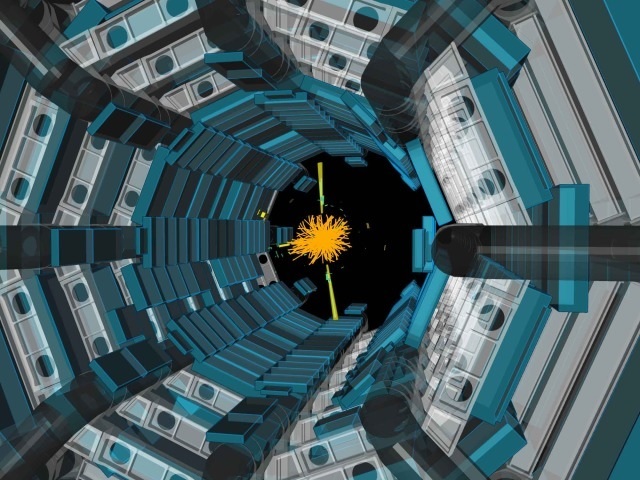 Holger Müller, of the University of California, Berkeley, says that by reducing one of the leading causes of error in atom interferometers, this type of work can help bring the technology out of the lab and into more general use.